I'm not literally a grandmother but my morning routine might honestly get me pretty close. It runs like clockwork, this routine of mine, and I've got it down to a science. It's very specific to my morning needs, my kitchen utensils, and the step of things I do to my face (not much), hair (not much), and body (ALL OF THE CLOTHING CHANGES) every morning. However, the most constant thing is my breakfast. It's been months and I haven't tired of it yet so I think it's a winner! It seems that my mood for the day is rather contingent on my breakfast, and when it's a warm and sweet hug in a bowl there is no possibility of error. Get ready for the grandmama part: the oatmeal. - Any other toppings you would like! 2. Once the water has boiled (about 5 minutes later) I pour the oats into a bowl and then slowly cover them with water. Just enough that they are completely covered and there's a smidge of extra water on top. I like to eyeball the water and use the same bowl so I know when to stop every time. If you add too much, you can always scoop out the excess later, too little and your oats won't soften enough. 3. Once the water is in I put a lid on the bowl (from a pot) and set a timer for 20 minutes. However, I usually leave it for about 25-30 because I takes me a while to finally make my way to the oatmeal when the timer goes off. 4. Once it's time to uncover the oats, gather your toppings and uncover the bowl. The oats should be all fluffy and ready to eat. Stir them up to continue fluffing them (I quite like a mushy oatmeal). Like I mentioned before, if you added a bit too much water you can scoop some liquid out at this point. 5. Pour in the maple syrup, add as much or as little as you like. I generally do probably about 3 or 4 tablespoons because I really really love maple syrup. 6. Sprinkle on the cinnamon and add toppings. 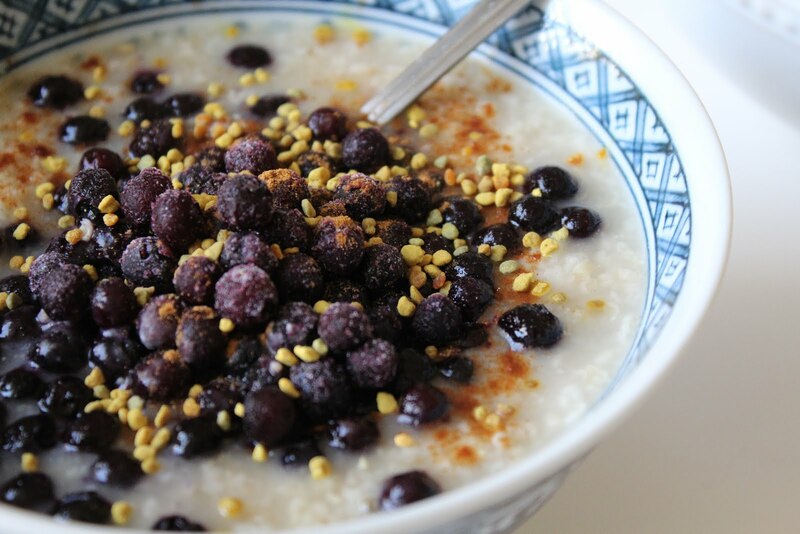 I love frozen wild blueberries as they're smaller than regular ones and they flavor the oats as they defrost. Very yummy. I very honestly have this for breakfast around 4 or 5 times a week. It's incredibly comforting and filling. Definitely sets me up for a great day. 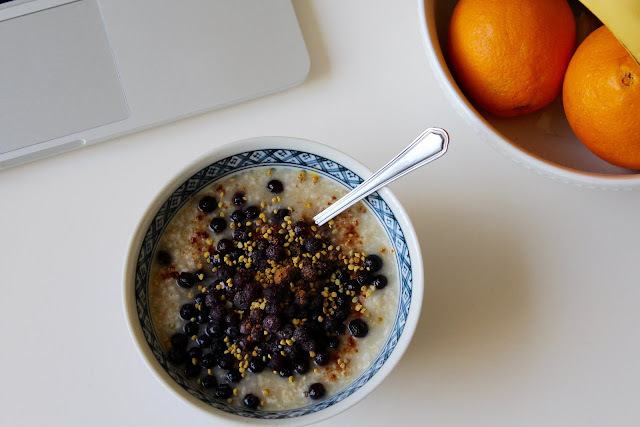 So take a tip from your grandmama and get your porridge on!